Commercial automation is a type of technology system designed to centralize and simplify control of all the different technology subsystems within a business. That’s a complicated way of saying you can automate your office to do whatever you want at the push of a button. There are a variety of user interfaces and applications for commercial automation technology – you could have a setting in a conference room called “Meeting Time,” for example. 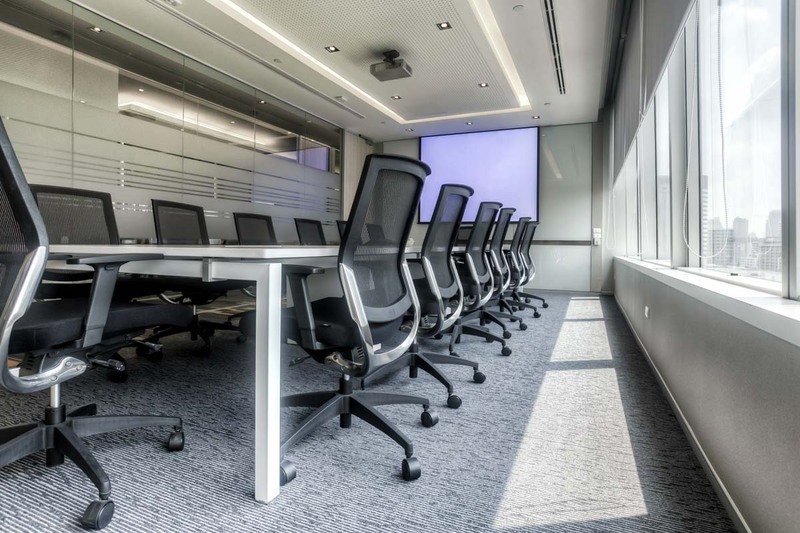 When you select this option, the screen will lower, the projector will turn on, the overhead lights will dim, the window shades will close, and your teleconferencing system will start up – all at the push of a button. The goal here is to streamline all of the technology (and also some of the elements of a room you wouldn’t normally call “technology” like the lights and shades) so that your company can focus on what’s important. We set up the system so that you don’t have to go through menu after menu, just trying to get your laptop to connect to the projector. Instead, it’s all simple so that you can jump immediately into your meetings. How often is the light left on in the conference room? How frequently does the projector bulb burn out because the projector wasn’t powered down after a meeting? Do your employees make sure to close the window shades when they leave to avoid solar heat gain from warming up the room and raising HVAC bills? With so many other things to focus on, it’s no wonder that these issues crop up so often, but the beauty of commercial automation is that you and your employees don’t have to think about it. Smart sensors monitor things like occupancy or temperature in the room and then make adjustments automatically to keep your business running efficiently. Especially for businesses that hold meetings with potential customers, board members, or shareholders, having technology that blends into the space seamlessly and works perfectly every time can go a long way toward representing your business in a positive light. The way the system can transform the room at the push of a button or voice command is not just neat; it’s downright impressive. Central Control System: This is the brain of your conference room, the thing that makes sure all of your technology does what it’s supposed to do right when you want it done. There are several reputable control brands that we recommend, such as Savant and URC. Lighting and Shading: The right lighting goes a long way toward creating the perfect environment for a teleconference, presentation, company get-together, etc. We can upgrade the light fixtures and window treatments to respond to commands from the central control system. Audio/Video: This one is a bit tricky to talk about because there are so many different options, and each conference room is different! Generally, your business may be in need of upgrades to the projector, screen or TV, speakers and microphones, or teleconferencing system. It all depends on how you intend to use the room and what the state of your technology is currently. If you’re interested in upgrading your business with commercial automation, then now is the perfect time to start learning more. For guidance on the options that make the most sense for your particular business, reach out to us. We’d love to talk.